It's the battle of the British sports cars, as Caterham battles Morgan at Mallory Park. 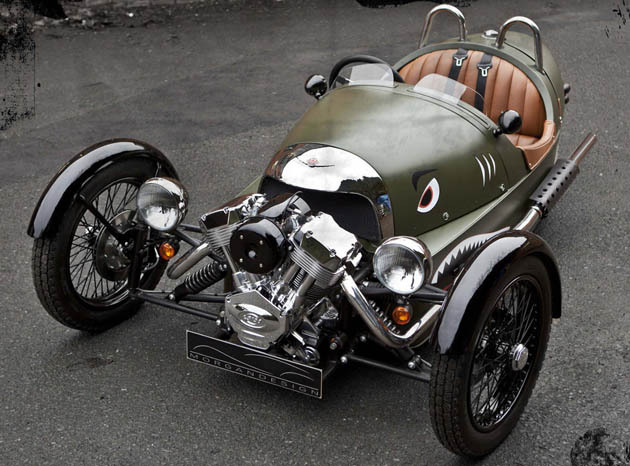 The pair share just five cylinders, the Caterham using a dinky turbocharged three-cylinder engine borrowed from Suzuki while the Morgan has a V-twin engine strapped to its front end, driving the single wheel at the back. The Seven is a familiar shape while several years on from its launch, the 3 Wheeler can still stop traffic with its looks. What we want to know, though, is how they perform on track. Which is quickest, and which is the biggest hoot?